Showing recent results 1 - 15 of 38 products found. 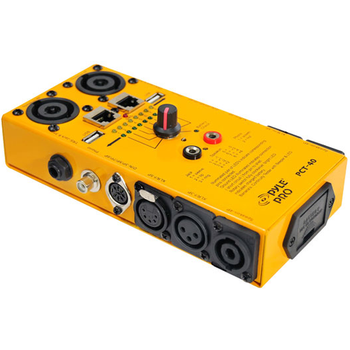 The VISN V4400 Audio Tester is a high speed test system for Speaker Impedance and Audio Test. 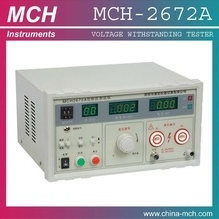 It provides electrical and audio test functions. The V4400 Audio Tester provides two techniques to measure speaker impedance and sound pressure level (SPL) responses: discrete sine sweeping and log chirp analysis. 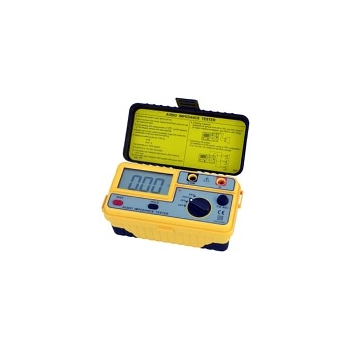 Audio cable tester with SINGLE & DOUBLE ended testing, memory and intermittent fault detection . Qbox - Whirlwind Music Distributors, Inc. 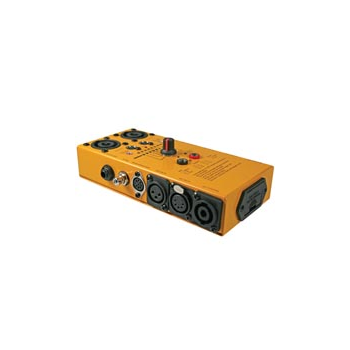 The Qbox is the all-in-one audio line tester ideal for applications such as live sound, maintenance, installation work - anywhere audio runs down a cable. 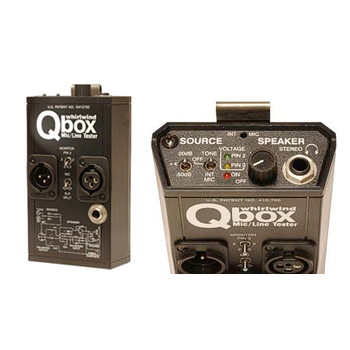 The Qbox can quick-check dynamic microphones and cables without firing up the entire system. 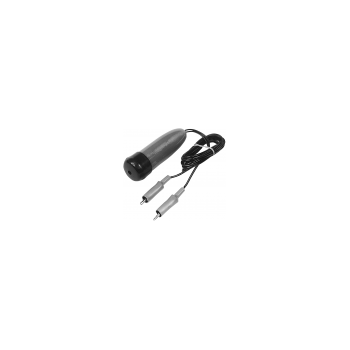 It provides a handy mic or line-level tone for activating a signal path or identifying a specific cable in a pile of cable ends. ALL new Audio cable tester with SINGLE & DOUBLE ended testing. There are 2 rows of 6 LED's corresponding to each of the possible connector pins and one for the screen (or ground) connection. As each pin is activated, the LED's indicate all connections associated with that pin, so that short, open and crossed circuits can be easily found. Large LCD : 68 × 34mm (2.677" × 1.338").● True measurement of speaker systems actural impedance at 1kHz.● Three test ranges allow testing of home theater and commercial sound systems.● Measures transformer impedances.● Battery operation.● Low battery indication.● Data hold function.● 0Ω adjustment. 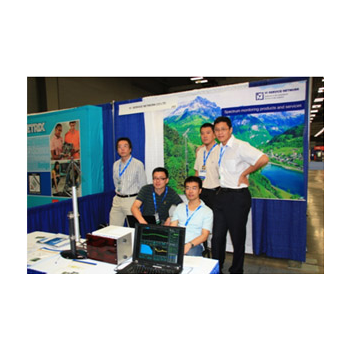 NWin is a software package designed specifically for production testing loudspeakers and other audio transducers. It can make sophisticated pass or fail decisions and report on production performance. The user creates the tests they need and then combines them to create a test sequence. You will need a PC fitted with a sound card, a microphone (possibly with a pre-amp), a power amp if you're doing this seriously, and a loudspeaker ... to test. CBT-500 - Hosa Technology Inc. 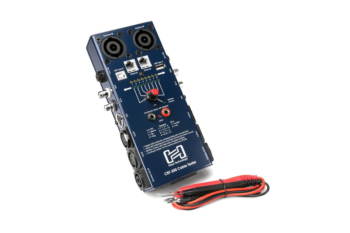 The CBT-500 Cable Tester by Hosa Technology diagnoses signal failure in cables terminated with any combination of XLR, Phone, Phono, and speakON® connectors, as well as DIN, Ethernet, 75-ohm BNC, and USB Type A to Type B cables. 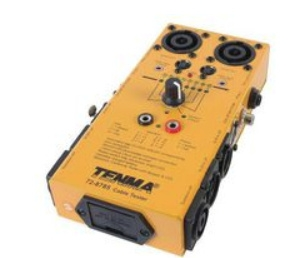 It is also equipped with removable leads to verify continuity of additional connectors and jacks. Operation requires one 9-volt battery (included). PCT40 - Pyle Audio Inc.
PCT10 - Pyle Audio Inc. 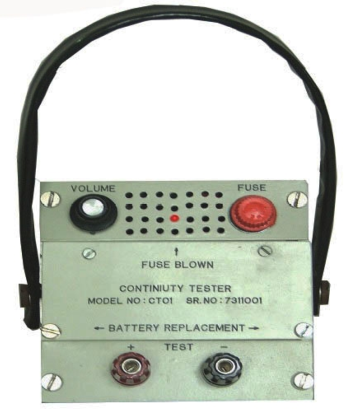 This cable tester quickly tests continuity for all types of cables in various combinations. Rugged, metal construction provides durability and reliability making it handy to bring to the jobsite. Rotary 9-way switch for easy selection of cables to be tested and internal battery and ground connection status check. 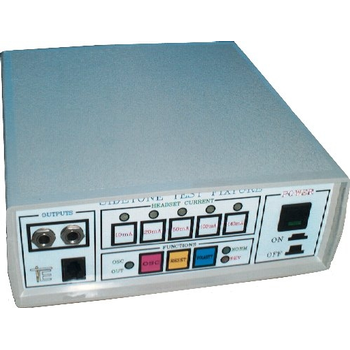 TE2000 Headset Tester for audio testing headsets and handsets using computer generated test sounds.